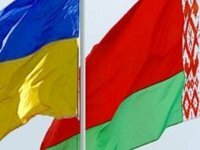 The visa-free regime between Ukraine and Belarus hasn't changed, however Minsk intends to hold consultations with Kyiv over the use of Ukrainian ID cards under the current agreement, Head of Information Department - Press Secretary of the Foreign Ministry of Belarus Dmitry Mironchik told Interfax-West. "The visa-free travel regime between Belarus and Ukraine under the current agreement is fully preserved," Mironchik said. "However, given the fact that this agreement does not provide for such a document as an ID card, the Belarusian side offered to hold special consultations on this matter with Ukrainian counterparts," he added. Last Saturday, the State Border Committee of Belarus reported that they do not regard a Ukrainian citizen's passport in the form of an electronic identity card to be a valid document for crossing the border. "Ukrainian citizens mistakenly expect to enter the territory of Belarus using these new electronic documents. Under the current bilateral agreement between the countries on visa-free trips dated 2009, the new Ukrainian passport in the form of an ID card is not considered to be a document valid for crossing the state border of Belarus," the border agency's press service reported. "In addition, the Ukrainian side has not yet launched the inter-ministerial procedures for the recognition of the data from an ID card as a valid document for crossing borders in under the visa-free travel regime," the State Border Committee added. Prior to the settlement of these issues, the Belarusian side will let Ukrainians cross the border into Belarus on the basis of foreign travel passports and old-style internal passports (in paper form), the committee said.